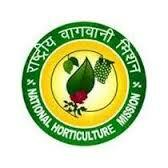 NEW DELHI: A total of three hundred and eighty four (384) districts under National Horticulture Mission (NHM) are covered in 23 States/UTs.This information was given by the Minister of State for Agriculture & Farmers Welfare, Sudarshan Bhagat in Rajya Sabha on Friday, 22 July, 2016. While finalizing/identifying districts for inclusion under NHM, a cluster approach for developing potential horticultural crops while ensuring backward and forwarded linkages was adopted. The selection of the district was decided on the comparative advantage of crops based on agro climatic conditions, potential for developing marketing opportunities were taken into consideration. There is a provision under NHM scheme for setting up of infrastructure units relating to post harvest management, marketing and other project based activities in non NHM districts, provided there is a clear linkage of the units with the horticulture produce. Apart from this, activities for development of horticulture in non-NHM districts can be carried out under other Government schemes like Rashtriya Krishi Vikas Yojana (RKVY), Mahatma Gandhi National Rural Employment Guarantee Act (MGNREGA), Paramparagat Krishi Vikas Yojana (PKVY) etc.